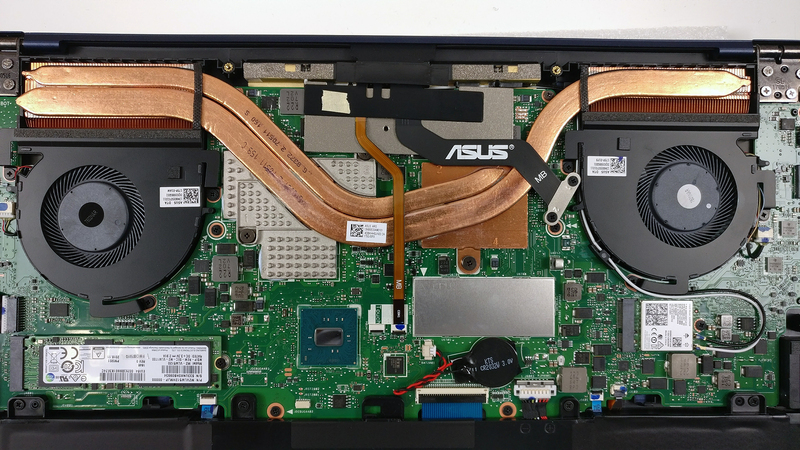 The disassembly of the ASUS ZenBook Pro UX550 is pretty straightforward and easy – the bottom lid and the screws that hold it are the only things getting in the way. 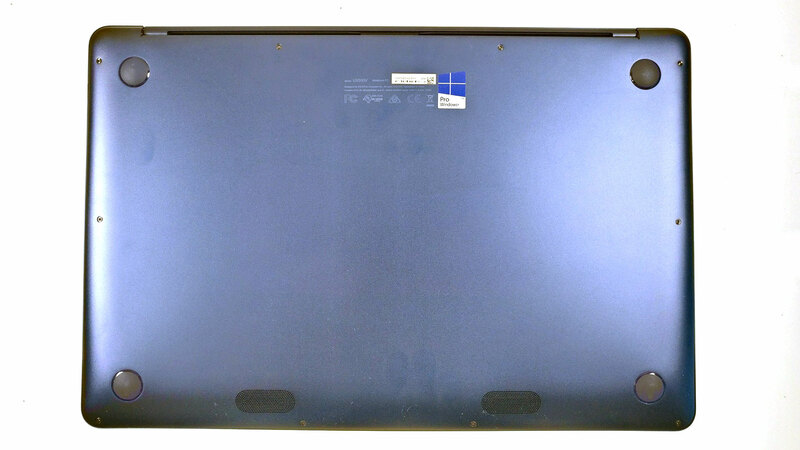 Removing all the Torx screws around the bottom will release the panel and then you can easily take it off with the help of a thin plastic tool, for example. 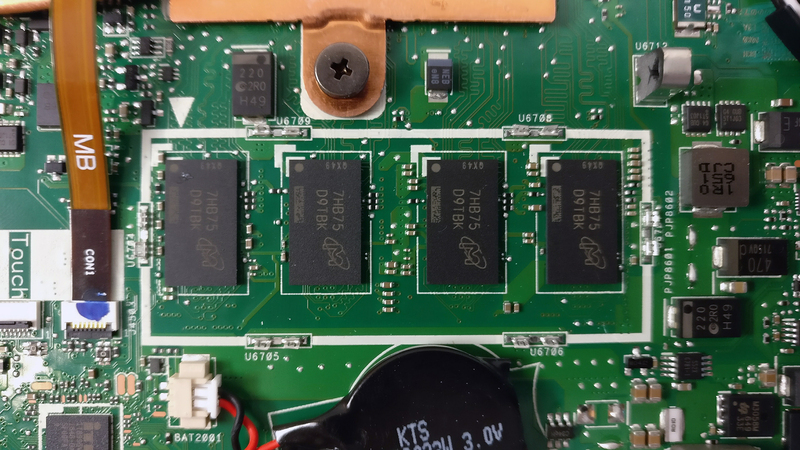 The storage configuration is simple – it has only one M.2 SSD slot. 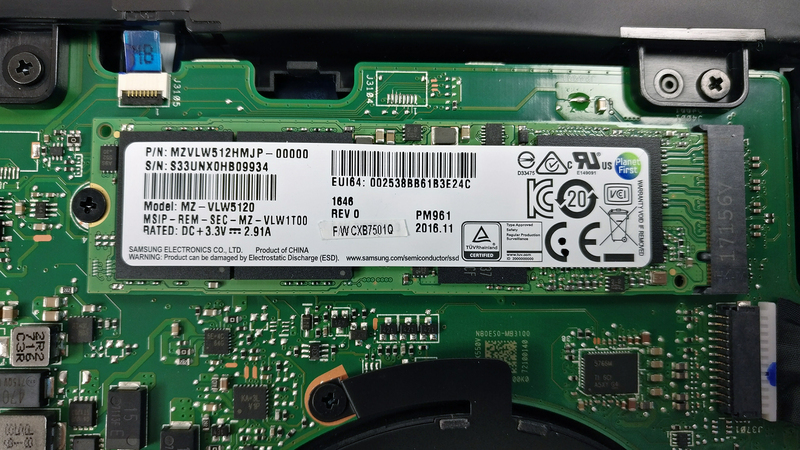 In our case, the notebook shipped with a Samsung PM961 PCIe NVMe SSD with 512GB capacity. 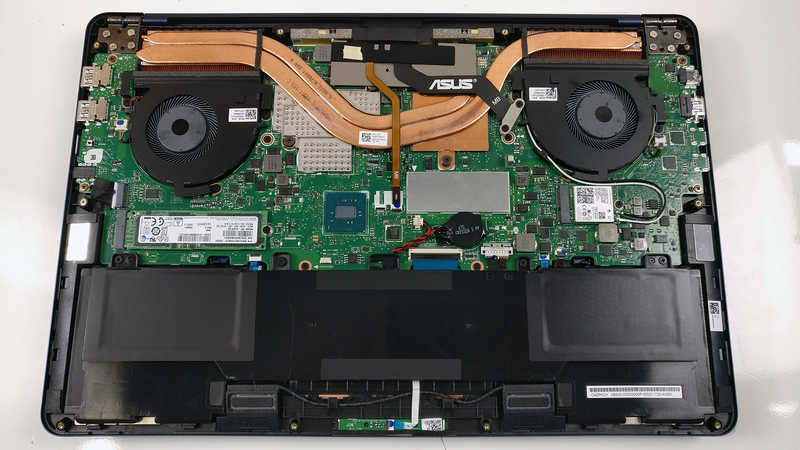 The 2.5-inch drive is missing from all configurations of the ZenBook Pro UX550. Unfortunately, the motherboard holds only 8GB of DDR4-2400 soldered memory and configurations go as high as 16GB of RAM without being able to upgrade in the future. 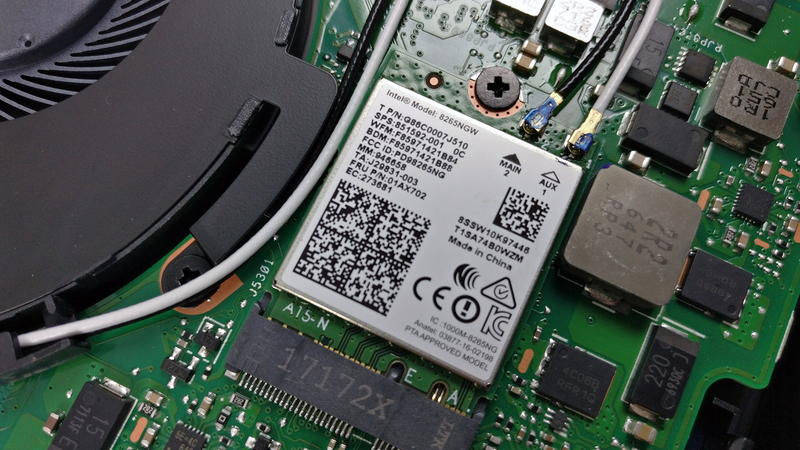 The Wi-Fi adapter can be found near one of the cooling fans and it’s Intel 8265NGW. 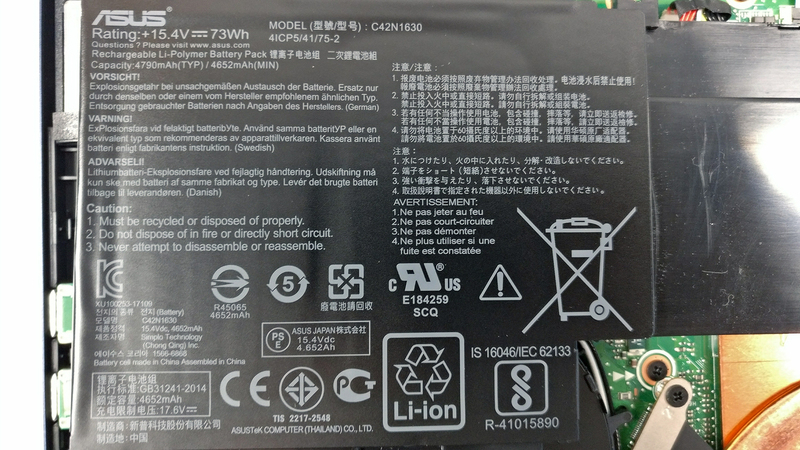 The battery takes up a big space inside the chassis and it’s rated at 73Wh. 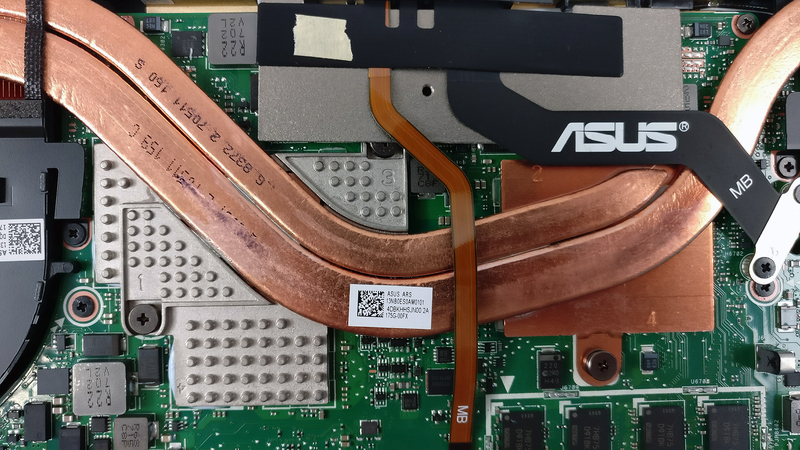 The cooling design is similar to some gaming-oriented notebooks and at first glance, it seems pretty solid – two heat pipes going across two huge heat sinks and connecting both cooling fans. Unfortunately, though, our stress tests show insufficient cooling performance to keep the hardware cool under load. The full review of the ASUS ZenBook Pro UX550VE can be found here. Hey, I have 1 question it is possible to upgrade a GPU to newest version? Or this is possible to play with eGPU? And how much power i am losing?